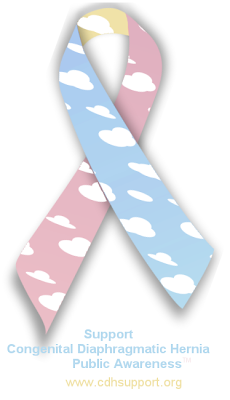 Because of the legal and ethical issues behind “Congenital Diaphragmatic Hernia Awareness Day” and the fact that proclamations gathered by CDH families for this day were used in the registering of the “Congenital Diaphragmatic Hernia Awareness” trademark, CHERUBS gracefully chooses to decline to support this event. We respect the rights of our members and all CDH families to celebrate CDH Awareness on March 31 but in good conscience, we can not support this event or the organizations behind it. Let’s all show our support of these babies and the organizations and medical care providers who work hard to protect them and help them all year round.